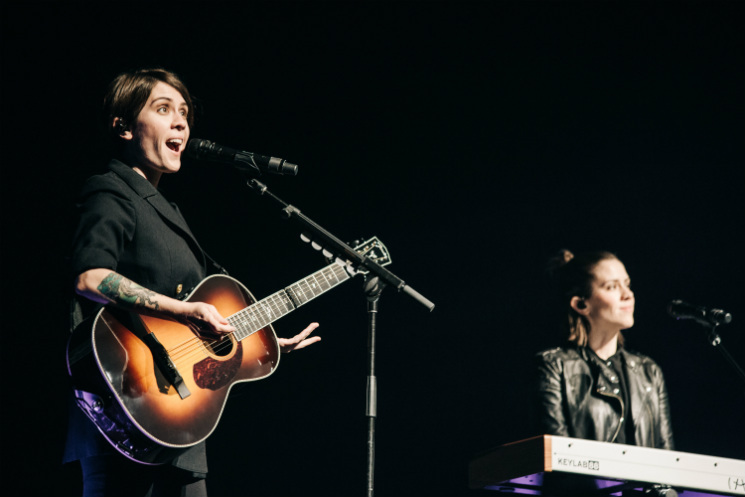 Canadian songwriting duo Tegan and Sara have spent decades perfecting their craft, but it looks like they’re now short two very important tools. According to a post on their Twitter, they’ve been robbed in Los Angeles. The duo had a pair of Martin LX guitars stolen while in L.A. Making matters worse, they were one-of-a-kind items, in that they were customized with paintings from BoJack Horseman artist Lisa Hanawalt. Hopefully, the unique visuals will make these items easier to recover. You can see a picture and read Tegan and Sara’s statement about the theft below.